There have been many posts about how to catch fish, but none about how to care for fish. Of course, in fishing, there is no way to not harm the fish in some way or another. As you become more addicted to the wonderful sport of fishing, you will think about ways to care for fish to let them fight another day and hopefully preserve fish stocks for our kids and grand kids to enjoy as well. I have two quick tips to improve a fish’s chance of survival after catching them. 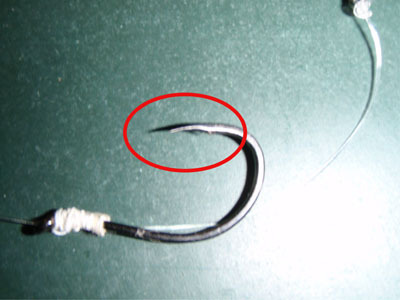 The “barb” is the sharp point near the end of the hook to prevent it from coming out once hooked. Of course, what this means is, if you hook up a fish, even when releasing it, you will need to reverse the barb through, hence creating a bigger lip hole. Use a pair of pliers to crush the barb and you will find that not only does it save the fish any more damage, but it is also easier to get the hook back out, which will help if you happen to hook yourself deep one day! Circle hooks have been a relatively new type of hook on the market, but is a simple yet effective type. 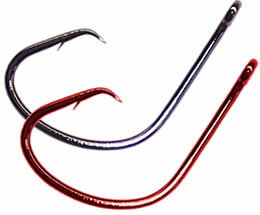 The hook is designed so that there is no need to “strike” the rod as soon as they see some bites. The fish can safely swallow the hooked up bait and even swim around with it. When the fish turns around the hook will go straight up to the mouth and lip hook it, which increases the chance of survival for the fish as opposed to a gut-hooked catch. As more and more people take up fishing in Sydney, my hope is that more people will take up the idea of catch and release, and in keeping their catch, only take what they require.